Looks like a beautiful day. Get out there an enjoy! This topic was modified 11 months, 1 week ago by playaweatherman. 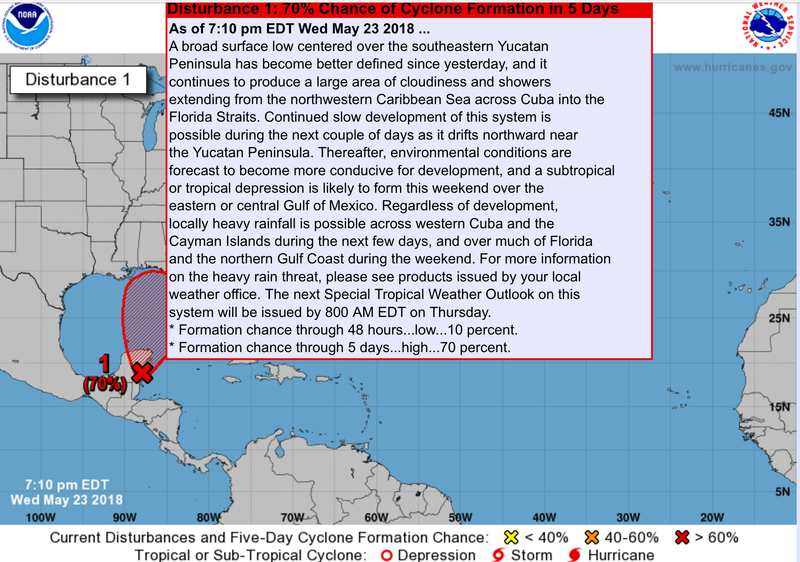 Today’s NOAA Hurricane Forecast shows a big yellow X just below us at Chetumal, but because it’s just a measly yellow X, and because it’s only May 23rd and Hurricane Season doesn’t start till June 1st, we are of course protected from hurricanes till Friday week (the 1st of June). But you might want to keep your goo-loshes handy (or footy) till then – just in case it turns orange, or red, or goes all whirly. This reply was modified 11 months ago by beam-eye. 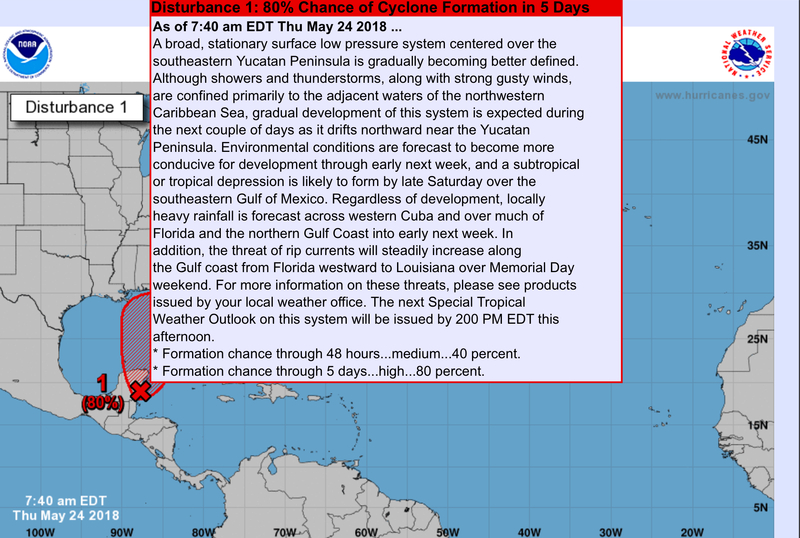 I meant to post this Intellicast interactive Caribbean link instead of the one above to complement the NOAA link. The edit button seems to work only once instead of giving continual access for future edits. Is that correct? Beam-Eye – there is a timer on the edit button. Can you get rid of the timer on the edit button? Up to 70% chance of formation once it’s out into Gulf of Mexico..
Big storms out there as seen from GOES-16. Thanks for the radar playaweatherman. I guess no snorkeling today! Here is radar loop from Belize. Just barely reaches Playa del Carmen, coverage poor. Will only see very big/tall storms. 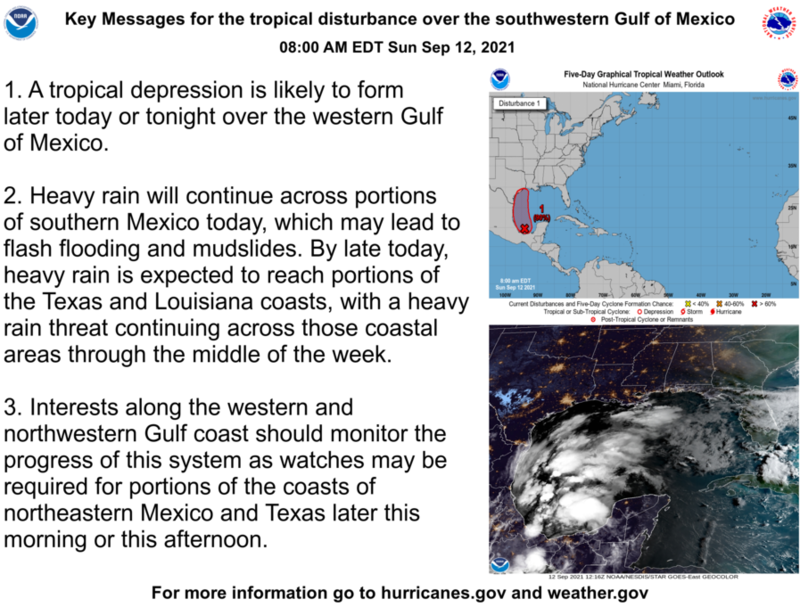 Atlantic Hurricane Season Outlook is now available. 75% chance of near- or above-normal activity.